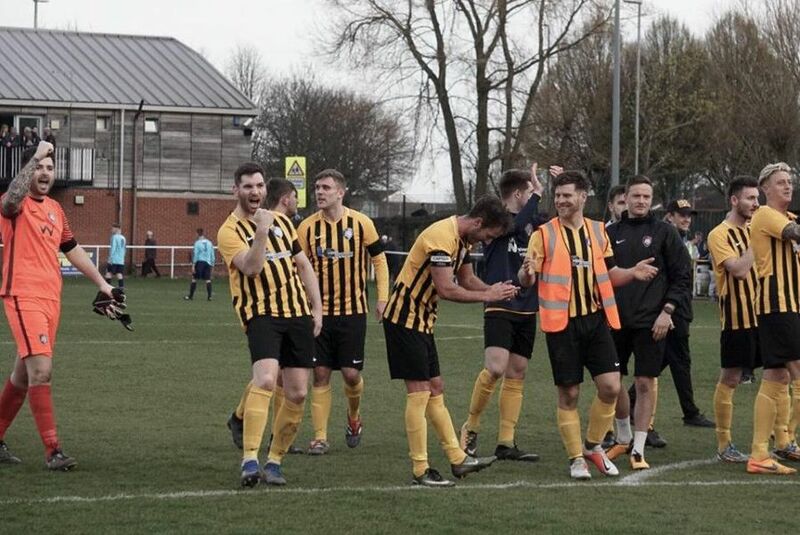 Worksop Town continued their march towards end-of-season success at the top of the Northern Counties East League Premier Division with a 2-1 win over Penistone Church — their 12th successive league win. Lewis Pickersgill captured the action in front of the biggest ever crowd for a competitive match at Sandy Lane, 1,628. Some of the record-breaking crowd at Sandy Lane. Worksop Town v Penistone Church. Some of the record-breaking crowd.